Gathered Southeast Asian cuisine, grilled specialties, Hunan, Sichuan, western United States point, Hong Kong-style tea, Fan Shun authentic Southern cuisine. Butterfly Gourmet Court is the Chime Long Hotel in the food court without borders, where you can enjoy Cantonese, Sichuan, western and Japanese cuisine in Southeast Asia and a total of 300 kinds of dishes, five-star produced, but it is food street price; this service class, the environment elegant, luxurious inside, and the price is cheaper than the city's five-star hotel, is indeed a business banquets, festive banquets a good place. 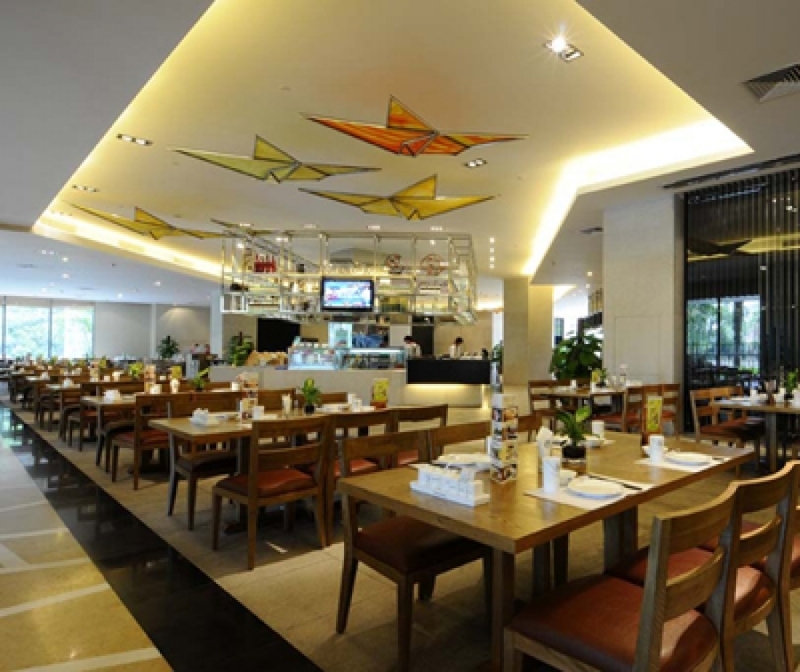 Hear " Butterfly Gourmet Court " these three words, I think the first time the butterflies in Caiyunzhinan and Hudiequanbian dancing, and Butterfly Gourmet Court tasting food in Guangzhou is the place. Chime Long Hotel is located in the scenic area 5A Butterfly Valley Water Park Hotel Gourmet Gallery in the export side, there are nine flavors kitchen, 40 kinds of hot and cold drinks, and 300 models dishes. Flavor Kitchen brought together the different parts of the Chinese cuisine, Cantonese cuisine from Lingnan flavor and to Sichuan to spicy Sichuan cuisine, known for Subway, a wide variety of endless variations, the flow of Chinese history where you can taste food. In addition, there can also enjoy exotic cuisine. Japanese cuisine and wind, as well as Southeast Asian cuisine, grilled with wild tropical rain forest in South America, there are specialty Panyu freshwater fishes, there are healthy seafood hot pot. The rice noodle soup, dessert delicacies is authentic and comprehensive. And diversity, a world where the ideal food to achieve.